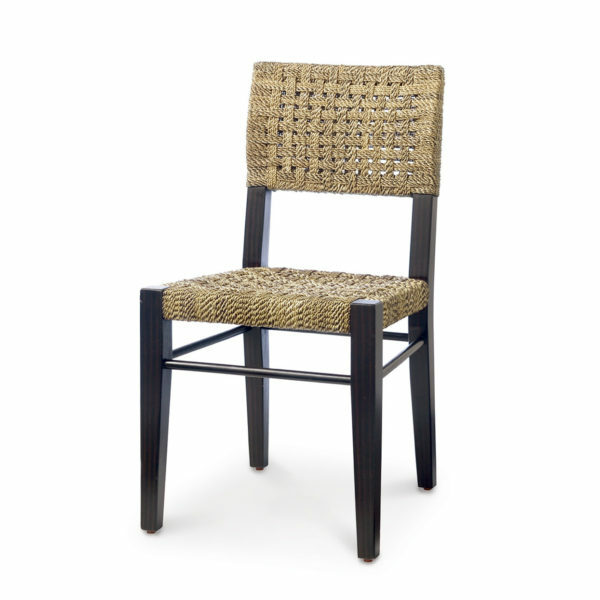 This Palecek side chair features plantation hardwood frame and legs in dark brown finish with a double wall back and seat in natural seagrass. Chair is 18.25″ wide, 22.75″ deep and back of chair is 34″ high. Seat is 18.5″ high. Some color variation in most of our products.